Once upon a time, coffee wasn't a part of Vietnam. 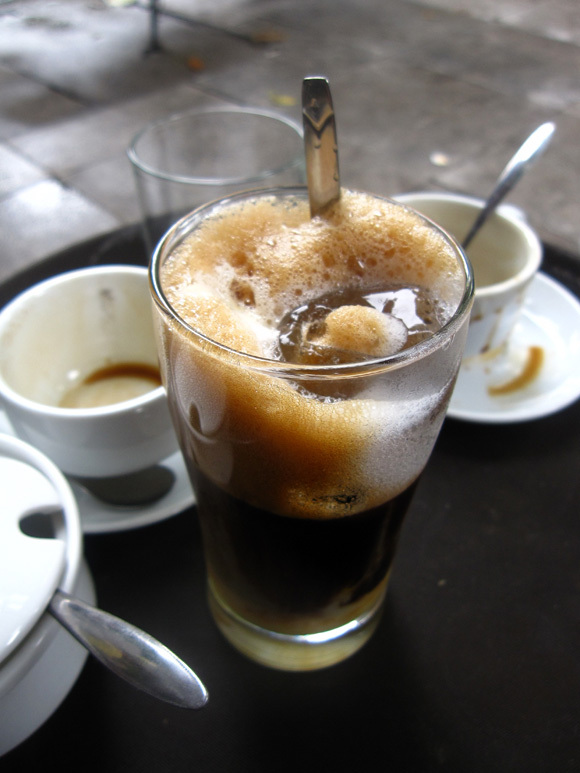 Coffee in Vietnam was introduced by the French during their period of colonization. Along with crusty loaves of bread, sweet pastries and creamy pâté, coffee remained after the country gained independence, and began to integrate itself into the Vietnamese culture. Traveling to Vietnam, you will be immersed in a coffee culture that appears to have been there forever. The highland areas of Vietnam offer an ideal climate and elevation for the cultivation of coffee beans. For this reason there is a diverse range of coffee species that are produced – each bringing offering a unique savoring taste. Nowadays, coffee is one of Vietnam's biggest exports and they are second only to Brazil in world coffee production. What kind of coffee should I drink in Vietnam? So how can I fully enjoy drinking a cup of Vietnamese coffee? After harvesting, coffee beans in Vietnam are often roasted dark. They are not quickly blackened, but slowly roasted over low heat for a long period of time. This roasting technique, as well as the way the coffee is brewed, is integral to the full bodied flavor that Vietnamese coffee is so famous for. One of the most popular ways to brew a cup of coffee in Vietnam is using a very simple, single-cup gravity drip system. The device starts off with a metal cup that has tiny holes at the bottom. Ground coffee is placed on the bottom of the cup and pushed down with a small circular piece that fits within the cup. The metal cup is placed over a real coffee cup and hot water is poured into the metal device. Most likely, when you order a cup of coffee in Vietnam, it will be served this way. Ca phe sua da – One of the most popular brews, especially when taking a break from the intense rays of the sun, is black coffee mixed with a dose of sweetened condensed milk and served on cubes of ice. The result is a rich chocolatey blend. 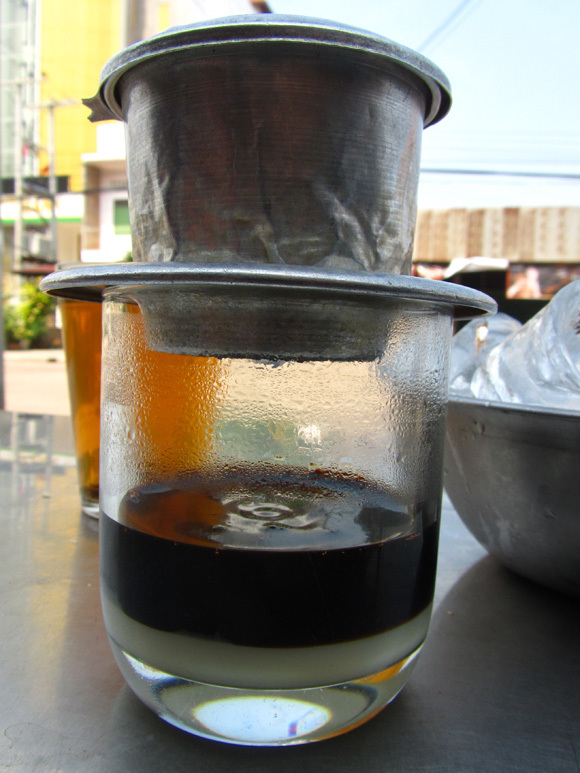 Ca phe sua nong – Identical to the brew mentioned above, except this variation is served hot. Ca phe den nong – To get the real sense of Vietnamese coffee try a cup of robust pitch black coffee devoid of any additives. Ca phe chon (Weasel Coffee) – Have you heard of “poop coffee?” This gourmet coffee which is similar to kopi luwak in Indonesia (though from a civet cat) is among the priciest beans in the world. Essentially coffee beans are fed to weasels who fail to digest them and end up depositing the whole beans in their feces. Someone then has the pleasure of digging out the beans and after that they are ready to be served! OK, there's a bit more to it than that, but that's just a quick briefing. I had a couple of cups of weasel coffee in Hanoi, and I was truly impressed. The coffee was brewed strong, but even though I drank it completely black, there was absolutely zero acidity and none of that sourness that might come from a regular cup of black coffee. You might remember that Vietnam takes things to the street, and coffee is among the leaders in that field. 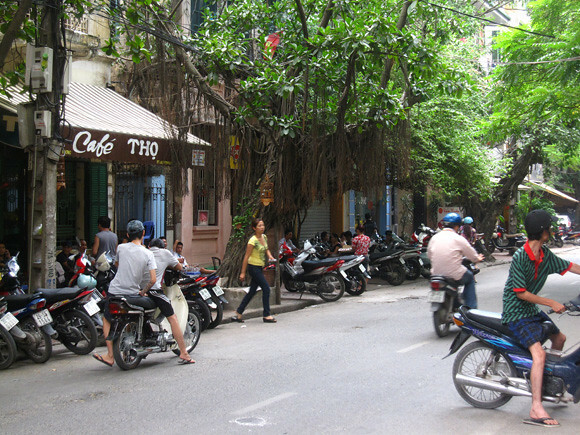 Hanoi coffee shops are everywhere to be seen and impossible to miss. Grab a 6-inch stool, and pull yourself up to a street coffee shop in Vietnam. Order a couple of rounds, and you'll be ready to start the day. In another few hours, stop again and order another! People don't just drink an energy buzzing shot of java in the morning, many partake throughout the entire day. A quick ca phe sua da is a battery charge that allows you to keep going, fighting the traffic, working, or plugging away on whatever task may be at hand. By the way, as I sit here writing this, I'm happily sipping on a cup of black Vietnamese coffee! Good thought Vlaicu – and I totally agree with you. I have a big stash of Vietnamese coffee and the about 6 of the little coffee drippers at my home now! Another great post, Mark. Brings back fond memories of my time in Hanoi and drinking a few Ca phe sue das and nongs every day. I brought a package home with me too. It didn’t last very long! That first photo was taken in the Old Quarter of Hanoi, wasn’t it? Thanks!That first photo is actually a shot from Hanoi, but it’s known as coffee street – maybe a 15 minute walk from central old quarter. I had just read about it and decided to walk there one day and check it out. Oh gosh that looks amazing! This is a unique experience, I bet all my colleagues would love to try a cup of coffee made Vietnam style. Great, hope they can try some! I do too. It’s simple to make and the taste is strong and delicious! We have such machine. The coffee gets really nice with it. Sometimes we make little get-togethers and have a cup over a good conversation. 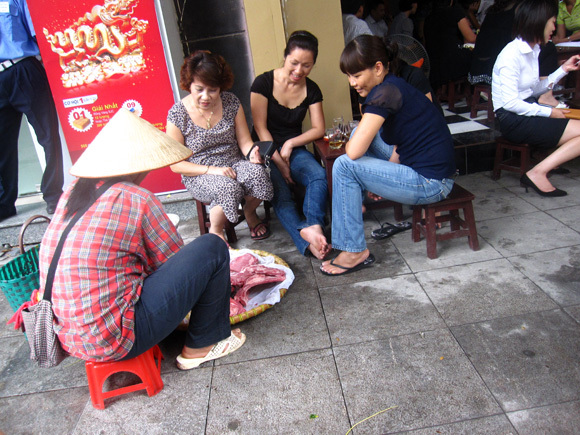 If you had to choose between visiting one city would it be Hanoi or Ho Chi Minh City? Hey Larissa, I haven’t actually been to Ho Chi Minh, but I did have a great time in Hanoi – it’s a great city to visit. I went to Cafe Tho in your photo above – great place for a Ca phe sua da. Nice timing. I’m headed to Vietnam in a couple of days and I like my coffee black, with no additives. I totally agree with you about Vietnamese coffee. I recently live in Vietnam and my days always start with a cup of coffee. I especially love Chon coffee. Its taste is really great. Each shop has their own special coffee that anyone who love coffee should try!